The Truax Hotel has Apx. 12,000 Sq. Ft. of Leasing Opportunities. 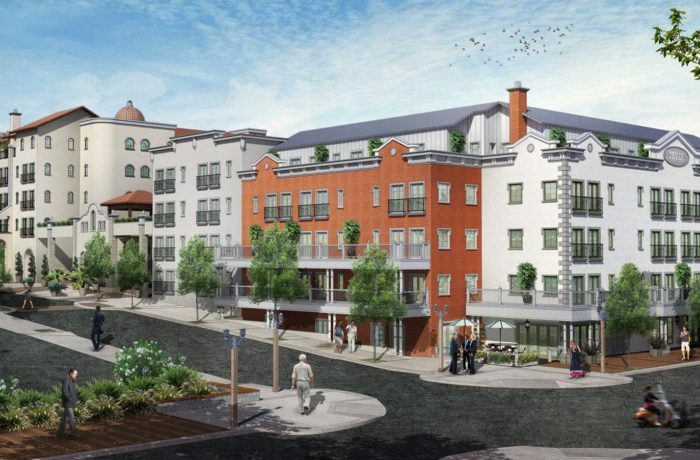 The leasing space on Front Street is accessible from the highly trafficked sidewalk of Frost Street, Third Street, and the backside Paseo of the Hotel. We envision the potential lessee to be a high-end restaurant, jewelry store, coffee shop, bakery or any other service that adds value and energy to the hotel. The leasing space on Mercedes is accessible to the highly trafficked sidewalk of Mercedes directly adjacent the Old Town Parking Garage, the paseo directly adjacent the Class "A" Truax Building, and Third Street. We envision this space to be occupied by a high-end spa & treatment center, male / female barber shop or any other related service. The Truax Hotel, located in Old Town Temecula, is part of the Truax Legacy. Built with the latest technologies this "Turn of the Century Design” acknowledges the area’s historic Western past while embracing the innovation of today. This luxury hotel, will be built with state-of-the-art technology spans five floors and includes banquet facilities, conference accommodations, health club, and luxury spa services along with boutiques shops and five dining options. The project features architectural elements such as paseo walkways, a grand staircase, water features, roof-top pool and inviting outdoor spaces.